Until yesterday, I hadn't run since June 30 - but that doesn't mean I was being a lazy person - quite the contrary. I ended up extending my stay in North Carolina, which meant additional days of climbing stairs while holding heavy objects. I will say that by the end of my visit, my legs weren't hurting while going up and down the stairs so that was nice. I wonder if Planet Fitness has a stepper machine? I should find out and use it to keep up my stair legs! Sam calls his home gym Sam's Gym For Muscles, and it has the pretty standard lifting equipment there. However, we didn't use it at all - and yet, we got in a workout every single day that I was there, no joke. 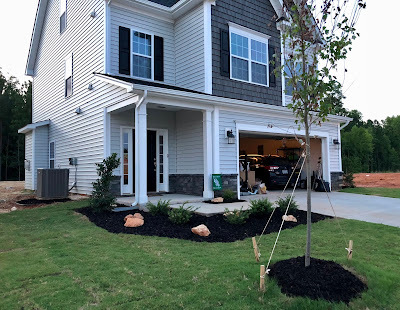 We were constantly moving things to their permanent places, and working in the garage, and making some changes to his front landscaping. We were always sweaty, which made me very glad that he had a washer and dryer, because we kept having to wash our clothes. One afternoon I looked out at the lot across the street and saw a bunch of nice sized rocks that would look good in his front beds, and Sam agreed, so we spent about 30 minutes that evening picking through the rocks and carrying them over to his place. I was dirty, sweaty, and covered in Carolina red clay dust, but you know what? It was fun. So much fun that we went back the next evening to harvest more rocks; there were some bigger rocks that we would have liked to get for his backyard, but we couldn't lift them. 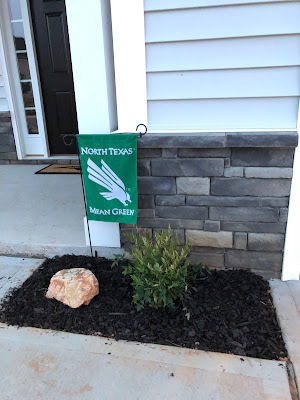 Funny thing, as we were carrying the smaller rocks, a man in a pickup truck stopped, rolled down his window, and told me that he did all of his landscaping with rocks that were in the lots at the end of Sam's street - I mean, why not? 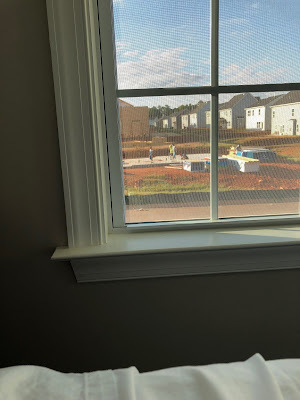 They would have just gone into a dump truck at some point in construction, so we were being good stewards of our planet and recycled the rocks! 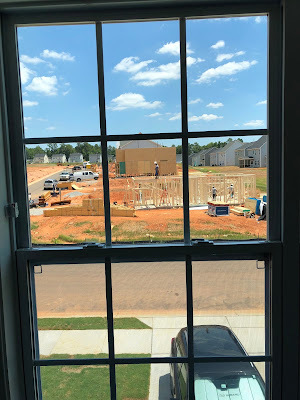 And day two - they were moving fast! 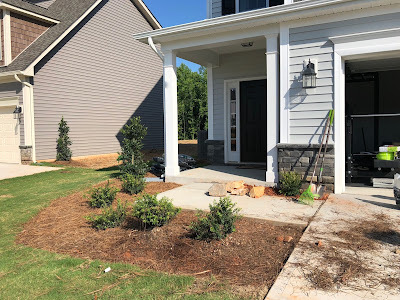 A partial before shot - instead of mulch, the landscapers put pine straw everywhere. I instantly hated it, but waited for Sam to comment on it - turns out, he didn't like it either. 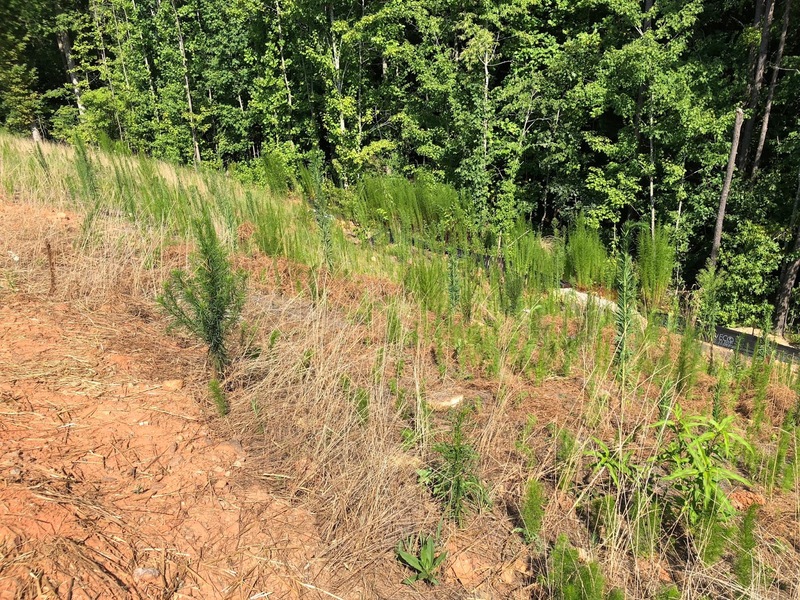 It blew everywhere and got in the shrubs, covering up their pretty green color with dead pine needles. We would rake and fill up the tarp, then carry it into the backyard and dump the pine straw down the hill behind Sam's house. For a while, it felt like the more we raked up, the more there was to rake. We threw it as far as we could, and when we were finished raking it up in the front, we very carefully picked our way down the slope to spread it out and toss it further down. This slope is really steep! Finished with that - I was intrigued by my Carolina red clay tan. 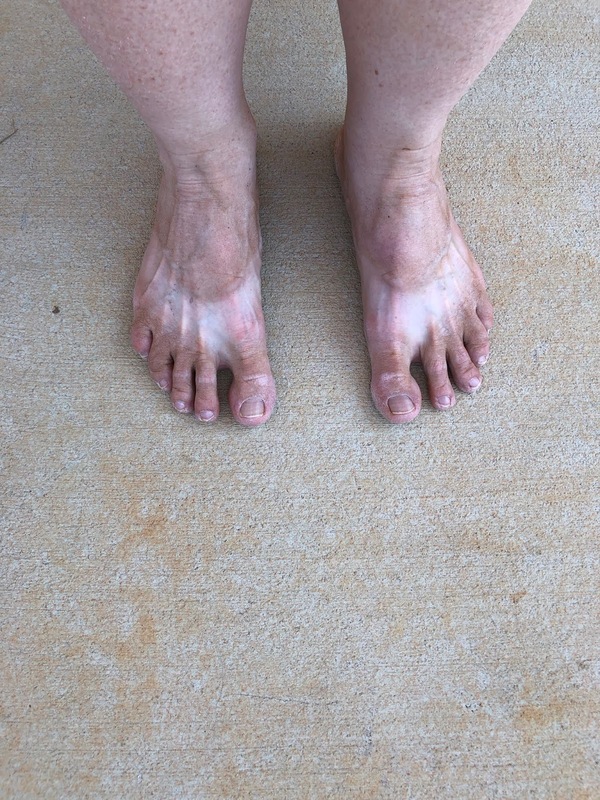 Turns out it washed off in the shower, but for a few hours, my feet and legs were tan, LOL. 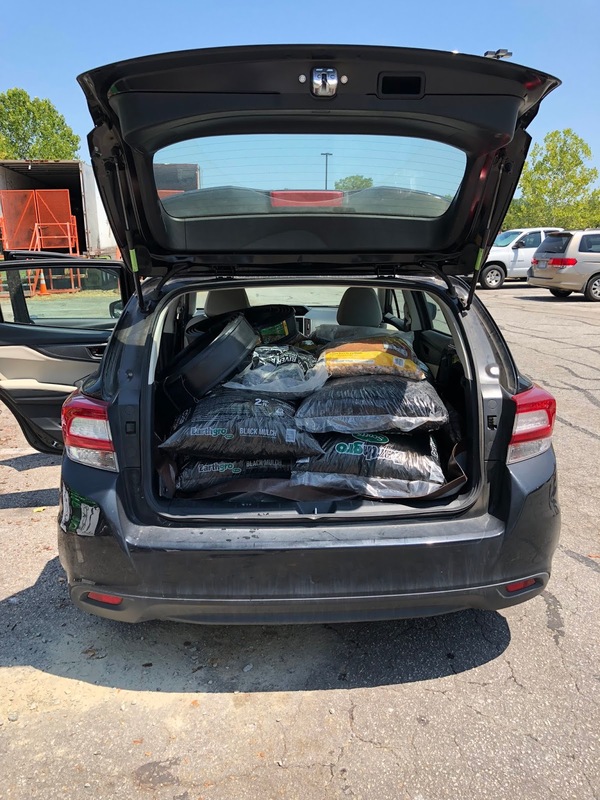 Another trip to Home Depot - hey, we were already sweaty and dirty, might as well go load the car with more mulch! 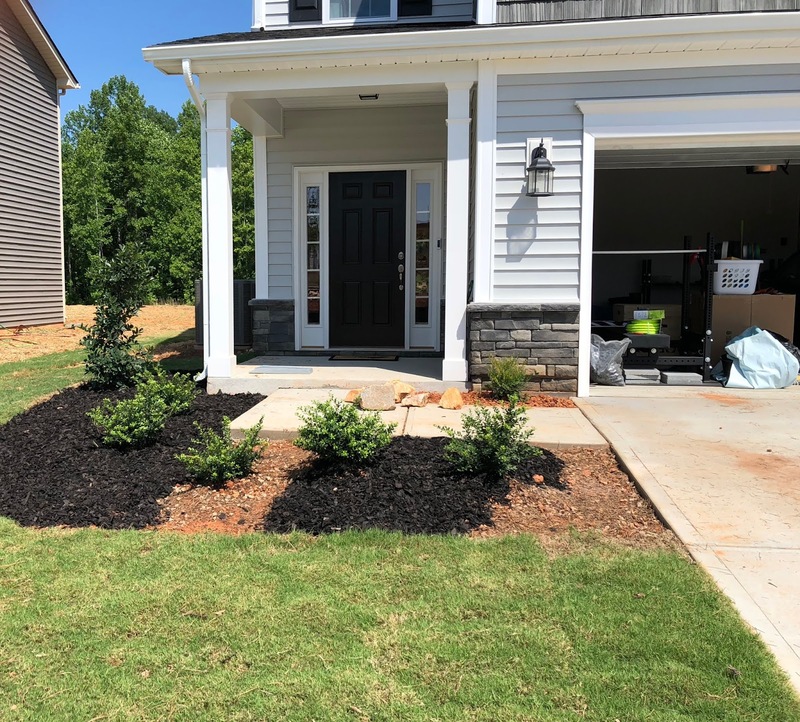 The black mulch looks so good with the black front door and trim! 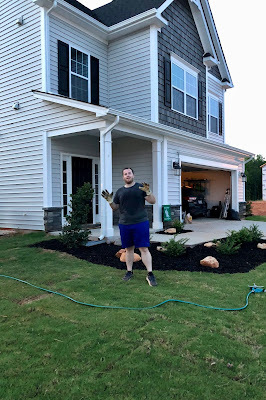 One tired, but proud homeowner! We even planted a Nandina in this bare spot. This wasn't the end of rocks, though. Sam had more projects planned, so he bought many bags of crushed rock and river rock, and I ended up carrying them, one at a time, to the backyard. It reminded me of Crossfit, actually - flip a tire, carry rocks - it's all heavy and dirty. It was an adventure to do this with Sam, but Jeff had better not get any ideas that I'm available to carry rocks here at home! The best kind of workout....one that provides a really nice extra reward, in this case a really nice landscaped house! So nice to spend that time with your son- helping him get settled in. Good luck to the new home owner. Looks great! Sam's lucky to have such a creative mama! That mulching looks fabulous - all your hard work(outs) really paid off nicely! Thanks, it was really nice that I had so much time to be there. 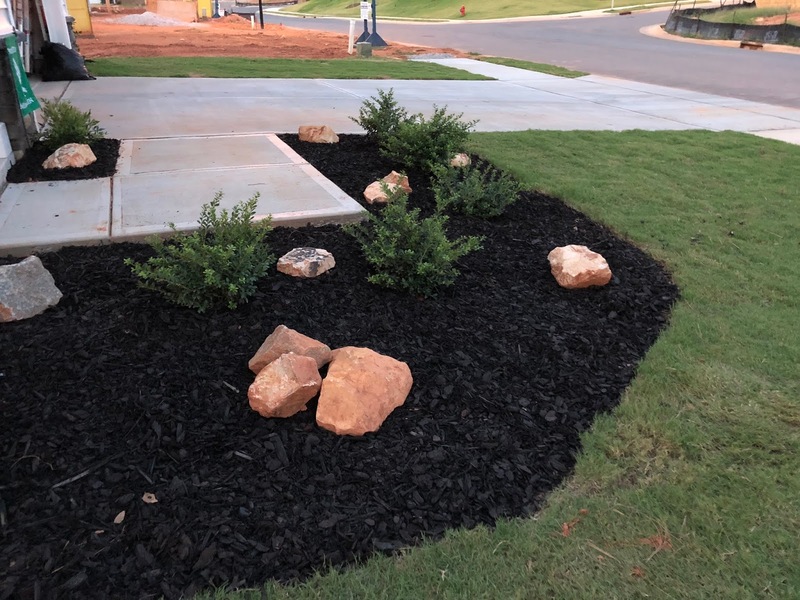 I love dark mulch, looks so rich. I love landscaping with rocks mixed in. I love functional exercise. Keep ‘me coming, these posts are great. Thanks! It was oddly satisfying to pick up those rocks and carry them over to his house. Your last sentence made me LOL. 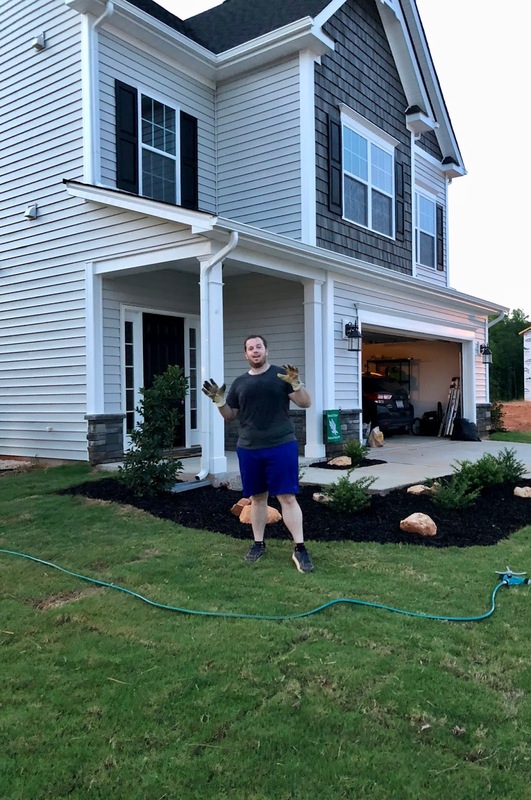 That is really nice that they landscaped Sam's place before he moved in. 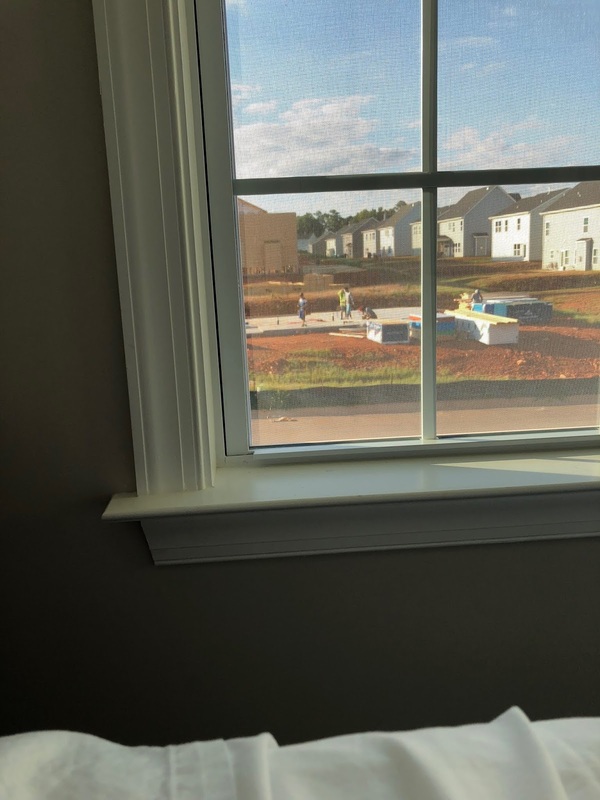 I know a lot of people who have bought houses and there was no landscaping at all--just a bare yard! Anyway, I love your rock culture. We have so many rocks here, Kevin has used a lot of them for landscaping here and there. All the work you did was really worth the effort--so pretty!! Hah, yeah...I'm just not really up for working in my yard like that. I really like the natural look in landscaping and the (free) rocks add to it nicely. What a great example of what I try to focus on - functional fitness. It's a fine pay-off for all the hard work you put in to your running and your cross-training that you could do all that stair-climbing and rock-hauling and mulch-spreading, etc. Can you imagine if this had been years ago before you started your fitness/health journey? 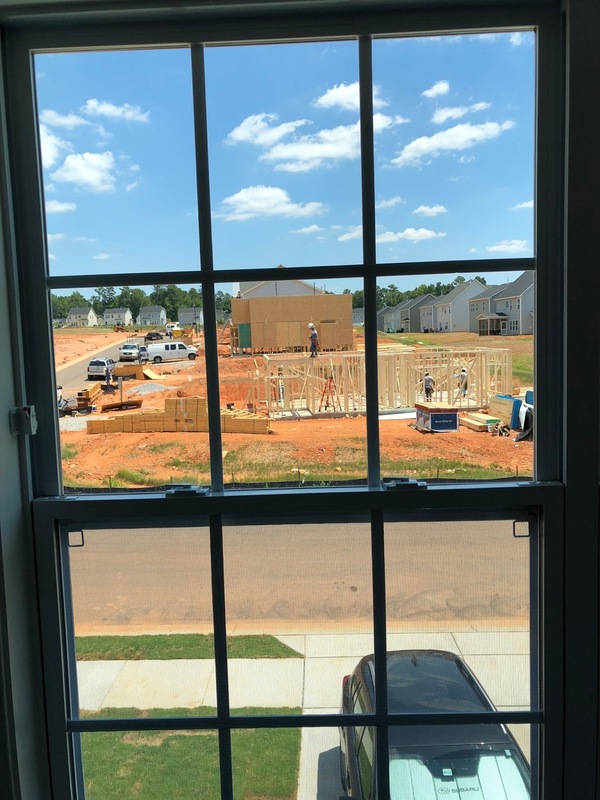 It's a great motivation, to be strong enough to be able to help out friends and family with a big work project like that. The yard looks much better! Nice job! Want to come help me? 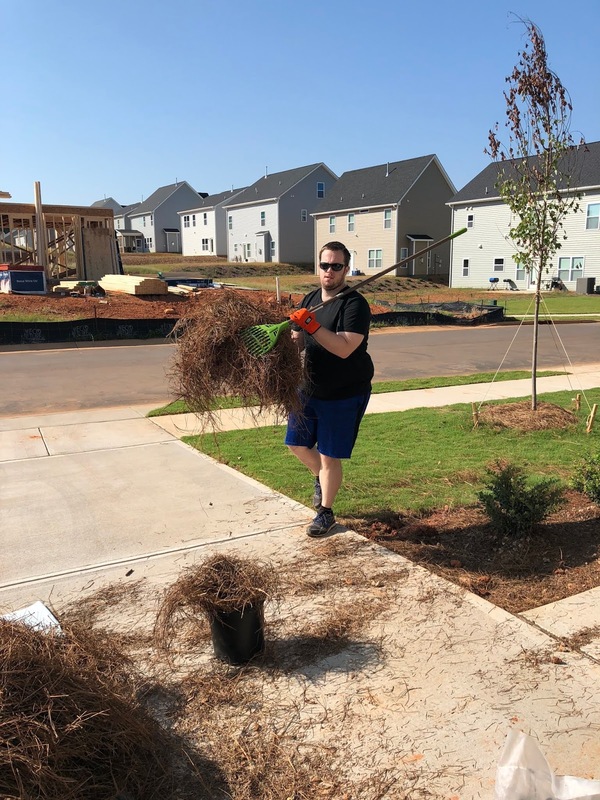 LOL Landscaping is hard, hard work - but a great workout! It looks so good! 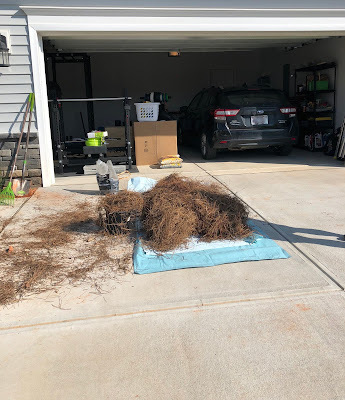 I agree with you about the pine straw vs the black mulch. Awesome work, y'all! We DID work hard! Worth it, absolutely. 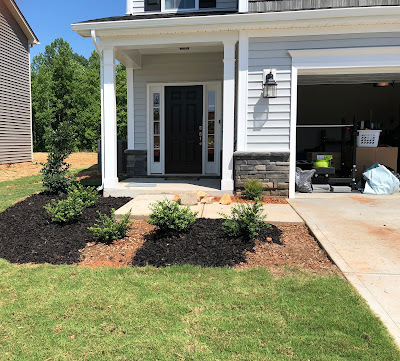 We have black mulch at our house - it looks really good against a white/light house, plus having a black front door and shutters, it tied everything together at Sam's place. Isn't this great when you are getting a workout by completing tasks you would need to do anyway? 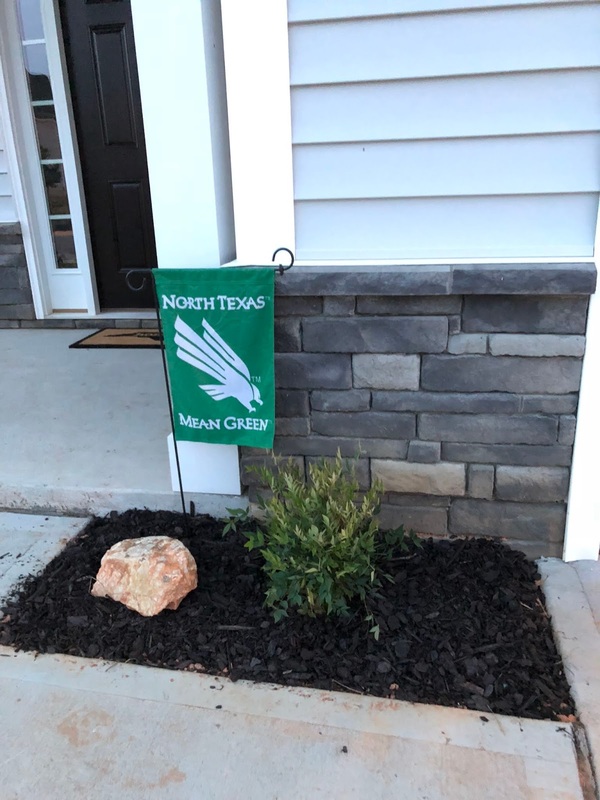 Sam's landscaping looks great! Thanks - and boy howdy, it was more of a workout than I thought it would be!